Might be interested in radiators. How much shipped to Oregon 97062? Can also say only possitives about Rekluse and will definitely use them in future! Yes, those parts are expensive, but damn my clutch on YZ450F is easier to pull than on stock YZ250F and is very precise. Would you sell just the transmission? I would take it! At the moment not, but I'll let you know if I change my mind. I have paid you for the forks on ebay and you are not replying on my emails! Would you sell just the forks? 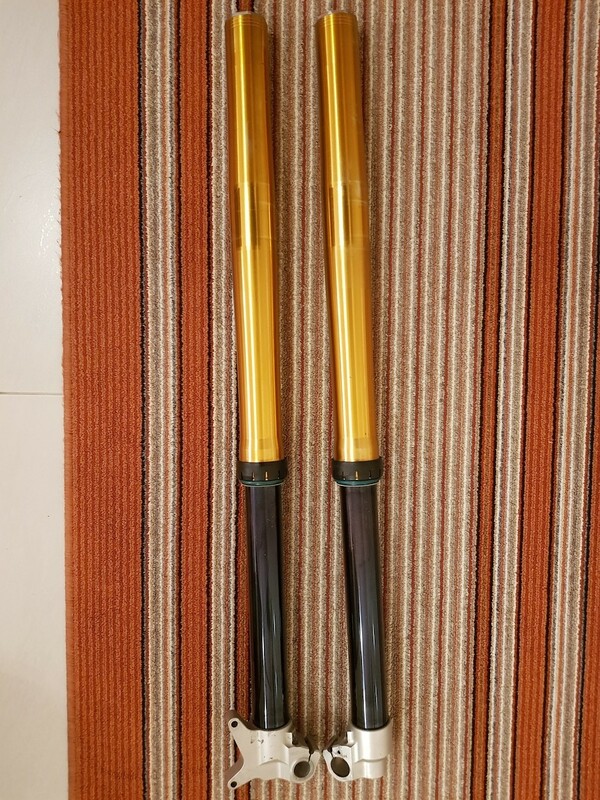 Have 2014+ lower and upper tubes with fork legs ingreat condition. Will have cartridges from 2019 yz450f as well (in ~2 months) unused as I will install ohlins cartridges. $400 for the tubes with fork legs + 300$ for the cartridges + shipping. I hsve normal xtrig, not the rocs model if you're interested..
Would like to try it!